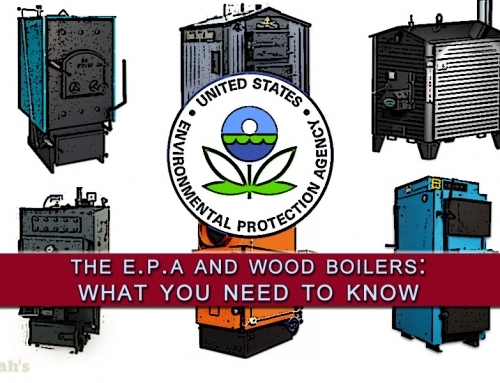 If you’ve thought about purchasing a wood boiler recently, chances are you’ve been confused when it comes to understanding the Environmental Protection Agency’s wood boiler regulations. Over the last five years the popularity of these heating units has exploded, but many users simply don’t understand how to burn them cleanly or efficiently. As a result, the EPA has updated many of their regulations in hopes of creating cleaner air across the United States. But what does that mean to you? We recently wrote an article about the new regulations, but many people still had specific questions: What kind of boiler are you allowed to own as a resident? What about as a business? If you live outside of the United States, what boilers are you allowed to purchase? We heard your questions, and dug through miles of government documents to bring you the answers without all the legalese. 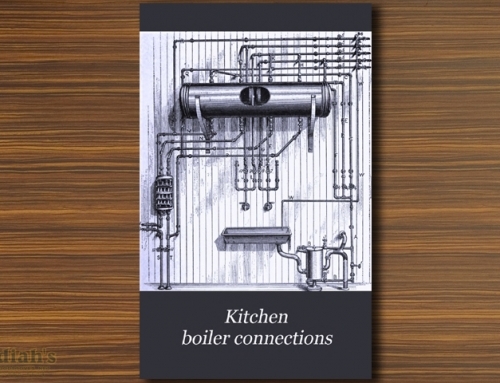 What exactly is a “hydronic heater”? I own a wood boiler and it doesn’t meet the EPA’s new standards. What should I do? “40 CFR Part 60” is the name of the EPA’s set of regulations for residential wood stoves and wood boilers. Its full title is “The Source Performance Standards for New Residential Wood Heaters, New Residential Hydronic Heaters and Forced-Air Furnaces,” or “The NSPS” for short. These regulations were updated in 2015, and most states have adopted them as part of their local laws. “40 CFR Part 63” is the set of regulations for commercial, industrial, and institutional wood boilers. These types of boilers are also called “area sources,” which means they emit less than 10 tons annually of a single hazardous air pollutant or less than 25 tons annually of a combination of hazardous air pollutants. They’re typically found in places like schools, manufacturing buildings, event centers, and other similarly large buildings. 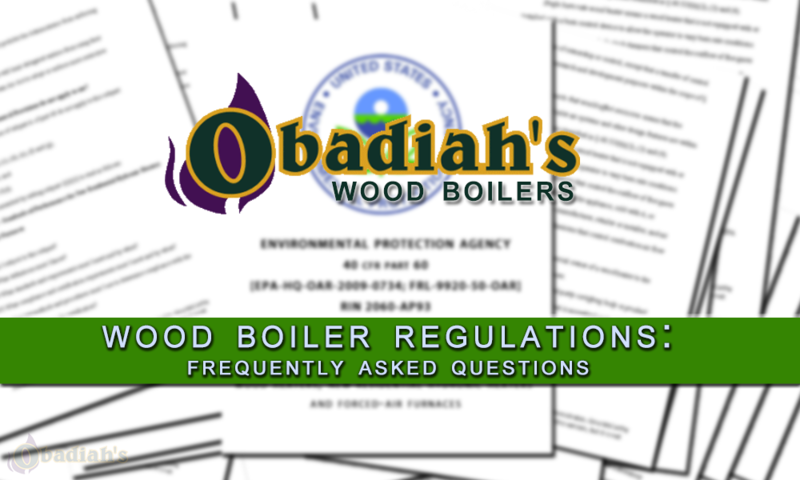 Great news for you: The EPA’s updated wood boiler regulations do not apply to any boilers that were sold before December 31, 2015. If you bought your boiler before that date and it was in compliance with the regulations set at the time of installation, you don’t have to do a thing! In most states, the answer is no. Under federal law (42 U.S.C. §7416), a state’s regulations for wood heaters such as wood boilers are required to be equal to or greater than the EPA’s regulations. If you buy a wood boiler that is not EPA-certified, it probably does not comply with your local laws. We checked the laws for each state to see how they regulate wood boilers and have created a summary of where wood boilers have to be EPA-certified and where they do not (see the table below). The vast majority of states require wood boilers to be EPA-certified. Most states have done this by referencing or incorporating 40 CFR Part 60 directly into their list of state laws but some, like Washington state, have stronger restrictions than the EPA. However, several states such as Missouri, Hawaii, and Michigan have chosen to ignore the EPA’s regulations altogether, and many others states simply have no information available online. If you live in a state we’ve listed as “no data” please check with your local Department of Environmental Quality to see what regulations apply to you, and if you have any information yourself please share it with us in the comments. 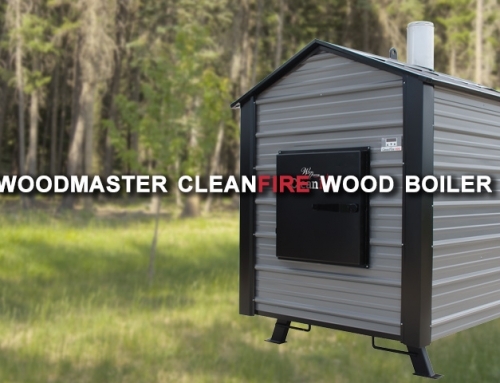 Alaska YES Residential hydronic heater must meet EPA’s emission standard of 0.32 lb/mmBtu (18 AAC 50.077, Standards for wood-fired heating devices, pg. 46). Arizona YES “[Arizona] shall maintain a state implementation plan that provides for implementation, maintenance and enforcement of national ambient air quality standards.” – Title 49, “The Environment” Chapter 3, Air Quality, Article 1. 49-404. Delaware YES/FURTHER RESTRICTIONS “No person shall cause or allow the emission of particulate matter in excess of 0.3 pound per million BTU heat input, maximum two-hour average, from any fuel burning equipment.” – Administrative Code Title 7 – 1104 Particulate Emissions from Fuel Burning Equipment. Washington D.C. YES/FURTHER RESTRICTIONS “The emission of particulate matter from any fuel burning equipment shall not be in excess of 0.13 lb/mmBtu” – D.C. Municipal Regulations (DCMR) Chapter 20-6 Air Quality – Particulates. Online data is not immediately available, but given the acknowledgement of the EPA’s regulations elsewhere, it’s safe to assume residential wood heaters should comply with the NSPS. This means that the 2015 revisions to the NSPS are not delegated, and the EPA’s current regulations for wood boilers are the standard in Idaho. Kansas YES “New source performance standards. (a)(1) 40 C.F.R.part 60 and its appendices, as revised on July 1,2010 and as amended by 76 fed. reg. 10524 (2011),76 fed. reg. 37967-37977 (2011), and 78 fed. reg. 6695-6700 (2013), are adopted by reference[…]” – K.A.R. 28-1, Kansas Air Quality Regulations, 28-19-720. Kentucky YES “This administrative regulation adopts the Standards of Performance for New Stationary Sources (NSPS) codified in 40 C.F.R. 60. […] Delegation of implementation and enforcement authority for the federal NSPS program from the U.S. E.P.A. to the Commonwealth of Kentucky is provided by 42 U.S.C. 7411(c)(1).” – 401 KAR 60:005. Maine YES “Outdoor wood boilers which have not been tested and approved by the EPA Outdoor Wood-fired Hydronic Heater Program cannot be imported, sold or installed in Maine after March 31, 2009. 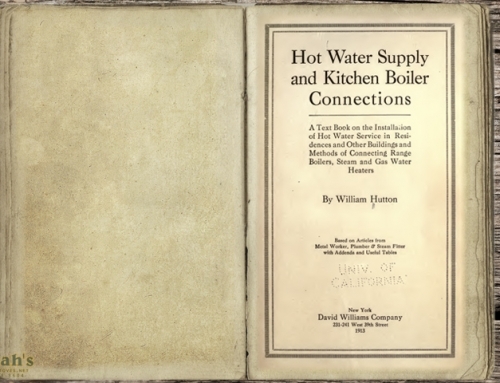 Uncertified boilers which were in use in Maine before April 1, 2009 can be resold.” – Maine Dept. of Environmental Protection. Michigan NO Effective March 2015, Section 324.5514 of Michigan’s Natural Resources and Environmental Protection Act states that the EPA cannot limit emissions from wood heaters in the state. 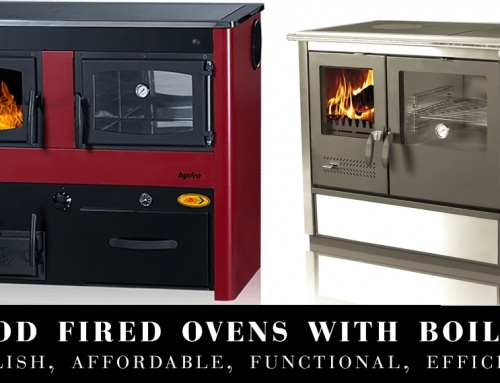 More information on outdoor wood boilers in Michigan here. Minnesota YES “40 CFR Part 60 (Standards of Performance for New Residential Wood Heaters) is adopted and incorporated by reference.” – Minnesota Administrative Rules, Chapter 7011.2950. Minnesota also adopts the EPA’s standards for commercial boilers under 40 CFR Part 63 (MN Administrative Rules, 7011.7055). Missouri NO “No rule or regulation respecting the establishment or the enforcement of performance standards for residential wood burning heaters or appliances shall become effective unless and until first approved by the joint committee on administrative rules.” – Missouri Air Conservation Statutes, Chapter 643, Section 643.055.1. Nevada YES Wood heaters are subject to the EPA’s standards, as referenced in NAC 445B.288 (source). New Hampshire YES Commercial Boilers are subject to the EPA’s standards for Area Source Boilers (40 CFR Part 63). South Carolina YES Incorporates the EPA’s regulations by reference. South Carolina has not yet amended their regulations to include the most recent NSPS revisions, but has followed the EPA’s guidelines since 1988. (South Carolina DHEC, Regulation 61-62.60, page 25). South Dakota YES “The standards of performance for new residential wood heaters are those in 40 CFR 60.” South Dakota Article 74:36, “Air Pollution Control Program”, 74:36:07:24. Utah YES Adopts the EPA’s standards for wood heaters (Utah Air Quality Rules, R307-210-1). Wisconsin NO Boilers are exempt from Wisconsin’s wood heating regulations (NR 440.642), and the state is currently trying to pass a bill (2015 Assembly Bill 25) that will prohibit the EPA’s new regulations for all wood heaters.. Some states make exceptions to EPA certification if you don’t have access to other heating options. These exceptions are too numerous to list here, but please contact your state’s environmental department for more information. Yes. In Canada, residential indoor boilers and furnaces are only subject to “The Code of Practice for Residential Wood Burning Appliances,” which says that a boiler must have a particulate emission limit of 0.4 g/MJ. This is roughly equal to 0.93 lb/mmBtu, much higher than the EPA’s requirement of 0.32 lb/mmBtu for residential wood heaters. Many boilers that do not meet the EPA’s emission standards do meet the standards in Canada. Canada Residents: Keep in mind that “The Code” exists in Canada to provide municipalities with advice on best practices for reducing emissions. Local governments have the final say in what laws apply to you, so please check your area’s guidelines before purchasing a boiler. You can read “The Code” online, here (see page 18 for emission limit details). Manufacturers and distributors should also know that, according to the EPA, wood boilers manufactured in the United States for export are exempt from the EPA’s emission limits (NSPS Page 45, § 60.5472). U.S. manufacturers and retailers are allowed to sell non-EPA-certified wood boilers and furnaces to anyone outside of the United States. Have more questions? Submit them in the comments below and we will do our best to answer them!